The car and light truck sales acceleration in the Prairies this year includes an 18 per cent year-over-year surge in May, Scotiabank says. Canadian auto sales will top two million units in 2017 and set a new record, according to Scotiabank’s Global Auto Report, released today. “We’ve raised our 2017 Canadian sales forecast to two million units, up from 1.94 million due to a stronger-than-expected recovery in the Prairies,” said Carlos Gomes, a senior economist and auto industry specialist at Scotiabank. “The car and light truck sales acceleration in the Prairies this year includes an 18 per cent year-over-year surge in May, the largest increase in more than four years. “In fact, the Prairies are the only region to post double-digit sales gains so far this year, accounting for 37 per cent of the overall increase in Canadian new vehicle sales through May, or more than double its historical share of the Canadian new vehicle market." The resurgence in the Prairies has also led to a recovery in fleet volumes. A double-digit increase in capital spending by the oil patch in 2017 has led to additional business purchases of new cars and light trucks. 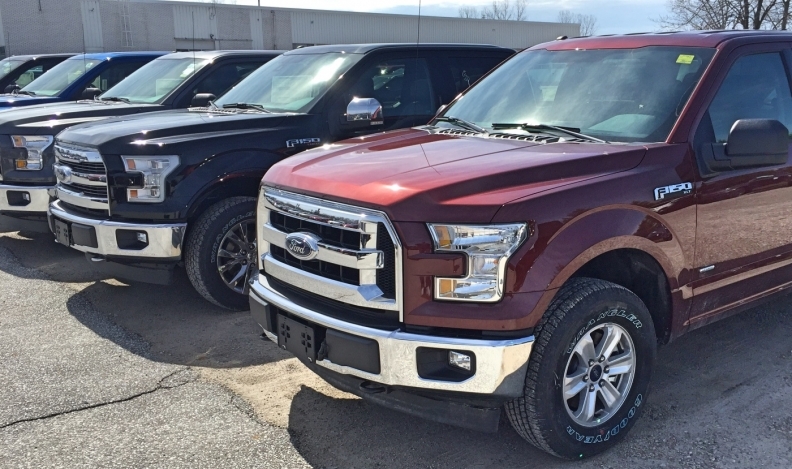 Fleet volumes at Calgary dealerships have surged 20 per cent year over year through April, and accounted for nearly 70 per cent of all new fleet activity across Alberta, according to the Scotiabank report. The increase in Calgary’s fleet volumes represents half of the nationwide increase in fleet sales through the first four months of the year, Gomes said. May 2017 sales were up 11.3 per cent to 217,123 units over the same month last year (195,080 units) and up 4.6 per cent year-to-date over the first five months of 2016, according to the Automotive News Data Center.